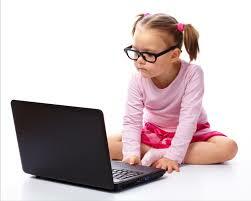 Have you ever wondered what kids spend so much time doing on the Internet? Well it seems that they´ve been creating, learning and speaking a whole new language! Born into the virtual world that´s still so ‘new’ to most of us, kids have grown up online with a fearless approach to the Internet and related technology. These tech savvy little people have even created their own form of online communication which is completely baffling to the rest of us. So how are parents (or anyone else for that matter) supposed to understand what their kids are saying? Luckily, the ‘Digital Dictionary’ has been compiled to help solve the problem. Disney´s Club Penguin, an online virtual world for kids, compiled this dictionary after conducting research about parents´ holds over their children´s online activities. Of the 1,000 parents of 6-14 year olds who were surveyed, nearly two thirds confessed to not understanding their kids´ online language. In a bid to aid these bemused parents, the Digital Dictionary lists the 50 most popular words used by children online. 25 of these have positive meanings, although you wouldn´t know it at first glance, while the other 25 have negative meanings. Are you struggling to make sense of this online vocabulary? Have you got a beef with this virtual language? The newly published dictionary will give you the tools you need to understand it, so be reem and learn the legit lingo. Another year passing means another mountain of neologisms. Whilst many will be relegated to the linguistic scrap heap a few no doubt will latch onto our vocabularies for years to come. The New York Times has compiled a list of the clever, the witty and the just plain ridiculous, of which I thought I’d share a few. FRANKENSTORM The storm that hit the East Coast in October, a few days before Halloween. GANGNAM STYLE The manner and attitude ascribed to the affluent Gangnam District of Seoul, South Korea. This term came to the attention of the world when the Korean pop star PSY released the song and video “Gangnam Style.” His signature “galloping pony ride” dance was the macarena of 2012. NOMOPHOBIA Fear of losing or forgetting one’s mobile phone, or of being outside of the phone’s signal area. From no more (phone|phobia). YOLO An acronym for “You Only Live Once.” Used as an interjection when someone is considering doing something risky or ill-advised. The expression took off this year after the hip-hop star Drake’s song “The Motto” became a hit in 2011. I’m far from being a linguistic purist but is this the best we could do? Scrap what I said earlier. Hopefully when 2013 arrives we will all suffer a collective bout of amnesia and will never utter any of these words ever, ever again. What was your word of 2012? Acronyms are found everywhere in the English language. Most people know what VIP (Very Important Person), SOS (Save Our Souls) and UFO (Unidentified Flying Object) stand for. Some acronyms no longer require knowledge of what the letters actually stand for though, as they have become words in their own right. SCUBA for instance, as in scuba diving, is an acronym standing for Self-Contained Underwater Breathing Apparatus. Similarly the word radar stands for Radio Detection, and Ranging, and laser began as an acronym meaning Light Amplification by Stimulated Emission of Radiation. The amount of acronyms used in everyday speech has increased in modern times because of technology like mobile phones and the internet. LOL (Laugh Out Loud) is perhaps the most well known of all ‘text speak’ acronyms. Below is a handy list I’ve compiled of ‘text speak’ acronyms so when your coworker says, LOL you don’t mistake their appreciation of your hilarity for a declaration of love (Lots Of Love). With less than a week to go until the Olympics opening ceremony, there are plenty of foreign athletes arriving on our shores. But what do the athletes know about London, and more importantly, can they decipher Cockney Rhyming Slang? Team USA have challenged their athletes to learn – and speak – the slang, with hilarious results! See some American athletes, including 400m runner Sanya Richards-Ross, gymnast Nastia Liukin and diver David Boudia take up the challenge in the video below. Do you know the meaning of the word “shawty”? If not, you might want to watch this informative video in which Hugh Laurie is quizzed on some American slang by Ellen DeGeneres. He doesn’t do that well… but then neither does Ellen when asked about some British slang! We heard recently about the linguistic power of young women, but a school in Sheffield apparently hasn’t. Sheffield Springs academy has asked students to stop using slang whilst at school, in order to enhance their employability prospects. The school is in one of the most deprived areas of the city. The United Learning Trust (ULT), a charity that runs the school, said the policy had been introduced so that pupils could recognise what kind of language was acceptable between friends and what would be suitable in more formal situations. The school had an ethos that “the street stops at the gate”, said Kathy August, ULT’s deputy chief executive. Pupils were told to replace hiya, cheers and ta with good morning and thank you. Another school initiative asked sixth formers to wear suits to school to promote a professional attitude towards their work. What do you think? Is saying ‘hiya’ really damaging employment prospects? There’s not much sympathy to be had for banks or the people that work in them at the moment. But language lovers will spare a thought for the loss of the lingua franca of the trading floor. Described as a mix of “Cockney rhyming slang, market banter and expressions picked up from horse racing bookmakers”, the slang is in danger of dying out because of the switch to electronic trading. Many traders nowadays are recruited as university graduates with top marks from Oxford, Cambridge, Harvard and M.I.T., whereas 30 years ago aspiring youngsters with few, if any, academic qualifications often started as back office clerks and worked their way up to the trading floor. Young London lads blessed with quick wits, common sense and ability to juggle numbers were often prized above those with academic laurels and went on to make fortunes as City traders. “They were the ‘barrow boys’ coming off the market stalls. It was more working class and with that came the language of the street,” said one trader, who used to work alongside some dealers who also owned fruit and vegetable and flower stalls. Slang is to be included in the updated Scots dictionary. “It’s difficult enough to decide if Scots is a dialect or a language. The fleeting nature of a word can determine if it’s slang or not. “If it’s a word you can use with three different generations of your family, it’s more likely become part of the language. Naval slang words and phrases are known as “Jackspeak”, and a collection of these has just been published. It’s surprising how many of slang phrases have made it into modern English, including “running the gauntlet”. For the past 40 years one man has been collecting the words and phrases coined by the Royal Navy, which have been published in a new book. Rick Jolly OBE is a former Surgeon Captain in the Royal Marines who served in the Falklands War and was decorated by both the British and Argentineans for his service. His years on board ship, both in the marines and later on cruise liners, have given him a passion for slang. Part of its charm, he feels, comes from its exclusivity, because the terminology used is only understood by fellow naval comrades. “For instance, this description of a crusty old sailor’s toothache needs some nautical knowledge, but then has a perfect and startling clarity: ‘Tis from the aftermost grinder aloft on the starboard side…’,” he says. He believes the humour of nautical slang is an essential coping strategy for people dealing with the multiple uncertainties and dangers of war. “During my own 25 years in a dark blue uniform, I had several opportunities to confirm that fact,” he explains. “In addition, as a direct result of my misunderstanding of a term used by one of my Royal Marine patients, I set out in 1971 to make a new collection of slang terms. You are currently browsing the archives for the Slang category.